A successful campaign can never be planned and carried out by one single person. Choosing the right group of people to prepare and run a campaign of any sort is among the most crucial strategic decisions you will have to take. The individuals that make up the campaign team need not all be from within the party. But, together, they must be capable of that which a solitary campaign manager simply is not: seeing, understanding and shaping the broader picture, both inside and outside the party. Crucially, the division of labour within the campaign team must be such that each of the principal functions is covered and that each of the main actors is involved. It is often necessary to distinguish between a ‘core’ group, and other members of the team responsible for the calendar and events, printed material, opposition research, as well as a creative resource, and, sometimes, the candidate. The Campaign Team: Which people? What functions? The best campaign team is a small campaign team. This, however, is not always possible, for there are often practical and political reasons to include certain functions and factions of the party. As a general rule, the campaign team should consist of nine people, and never exceed fifteen (although bigger teams, even in small countries, do of course exist!). The larger the team, the more important and useful it is to establish a ‘core’ group within it, which can act quickly and effectively when swift, and frequently unexpected, decisions are called for (your opponent ridicules the figures you have used to justify the party’s economic recovery programme; damaging revelations concerning your top candidate appear in the evening news bulletin…). The core campaign team should be composed of three to five individuals: always the Campaign Manager, the Secretary General, and the Media or Press Officer; sometimes also the treasurer and the volunteer manager. Speed kills in a campaign: the core team must be trusted and have the legitimacy necessary to act or react quickly, without having to consult others on the appropriate measure to take. Two scenarios are common. In the first of these, the Secretary General of the party is appointed campaign manager. The advantage is that he or she will be readily accepted by the party hierarchy, and can kick-start the campaign with a well-developed and well-oiled network throughout the party and across different regions of the country. But there is a danger that the Secretary General will remain bogged down with party work, and that he or she, although a competent long-term planner, will be ill-equipped to work at the pace required. A political party is slow; campaigns must be fast. Campaign management is a proper, full-time job, and the campaign manager needs time and space to carry out his work. It is therefore essential that the Secretary General’s regular duties be passed on to a colleague or a replacement for the duration of the campaign. 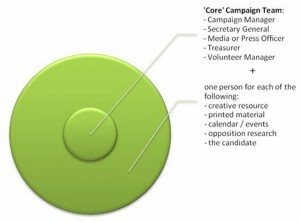 The second option is for the party board, assisted by the Secretary General, to choose a person with campaigning skills. 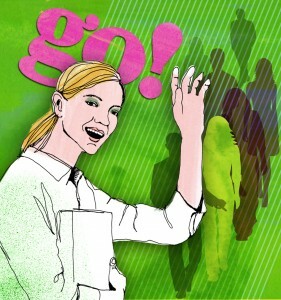 The individual may be an outsider, from a PR agency or with a solid PR background. But under no circumstances should it be someone without prior experience of dealing with a political party. In any event, he or she must be capable of garnering the trust of the party’s board and middle-management (this obviously applies differently to big and small parties). Whoever she is or wherever he comes from, there are qualities that the campaign manager must always demonstrate: project management skills, PR knowledge, a political instinct, and absolute loyalty. Of course, given the nature of the tasks ahead, the campaign manager must be thick-skinned, stress-resistant, calm under pressure (which is likely to be constant), a good motivator, and an excellent team player.